Diogenes Business Incubator mission is to facilitate and support the creation of innovative start-ups. Evangelize entrepreneurship! Diogenes Business Incubator University of Cyprus, wholly owned by the University of Cyprus, Cyprus’ largest public University, is a high technology business incubator aiming to commercialize R&DI results by creating business value. Diogenes is geared to pioneering the transformation of Cyprus into an important center in the Eastern Mediterranean in the area of commercializing high technology research and innovative ideas and is committed to developing entrepreneurship in the country as an important component of the process.  Member of the Incubator Forum, the Cyprus Association of Business Incubators, the National Business Incubator Association (USA), the UK Business Incubator Association and the Cyprus Chamber of Commerce is in close collaboration with the Ministry of Commerce Industry and Tourism and a founding member of the Cyprus MANUFUTURE Platform. Diogenes experience lies in entrepreneurship development, commercialization of R&DI results and creating sustainable start-up companies that are enhanced with the Incubator’s network. Diogenes concentrates on commercializing R&DI results that demonstrate prospects of market viability and success and offers supportive and strategic value adding services and pre and post incubation strategic services, facilitating the smooth transition of R&DI results into commercialization and a successful start-up. Diogenes created 9 startup companies through the Ministry of Commerce, Industry and Tourism’s startup program. Diogenes holds equity stakes in all portfolio companies and aims to enhance the value of the startups. To facilitate and support the creation of innovative startups.